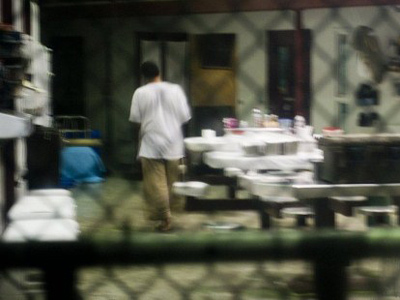 The law allowing for indefinite detention of Americans without trial has been stripped from next year’s National Defense Authorization Act, but tweaks to the NDAA don’t mean the possibility of extrajudicial imprisonment has been eliminated for all. 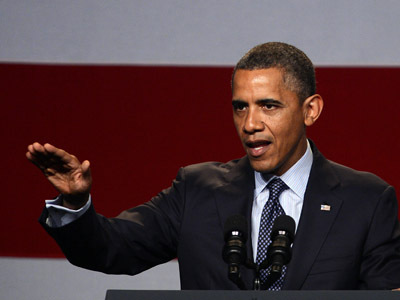 When US President Barack Obama signed into law the annual defense spending bill for 2012, he acknowledged that he had reservations about a provision that allows the government to lock up any United States citizen without providing them with a trial in a court of law. Although Pres. Obama swore to not abuse that clause in such a way that Americans would be at risk of imprisonment, the White House has relentlessly challenged in federal court all efforts to remove the controversial indefinite detention clause from the NDAA. 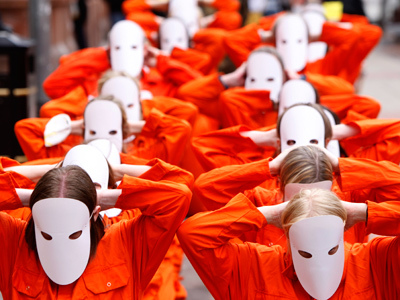 The US Senate has now approved a draft of the defense spending bill for the next fiscal year, and with it has signed off on a promise to ensure habeas corpus for all American citizens. Legal protection is not provided for unlawful immigrants and aliens, however, opening up the possibility of domestic military enforcement of draconian laws. When the Senate voted unanimously to approve the 2013 NDAA on Tuesday, they gave the go-ahead to an amendment introduced by Sen. Dianne Feinstein (D-California) that on the surface resembles a surefire fix to the previous year’s provision. The language, Sen. Feinstein says, clarifies that no US citizen can be detained for war crimes without be charged and taken to trial, ideally allowing critics of the current NDAA to sign a breath of relief. Upon further inspection, though, Sen. Feinstein’s fix still leaves the door open for Congress to consider indefinite detention without due process for other residents of the US and may allow for the usage of American troops to enforce the law on American soil. “It might look like a fix, but it breaks things further. Feinstein's amendment says that American citizens and green-card holders in the United States cannot be put into indefinite detention in a military prison, but carves out everyone else in the United States,” explains Chris Anders, an attorney with the Washington, DC legislative office of the American Civil Liberties Union. Additionally, Anders says the Feinstein Amendment is inconsistent with the US Constitution because that document declares due process for everyone within the country, including immigrants who have not been granted legal citizenship. It could also, he fears, set dangerous precedents for Congress. 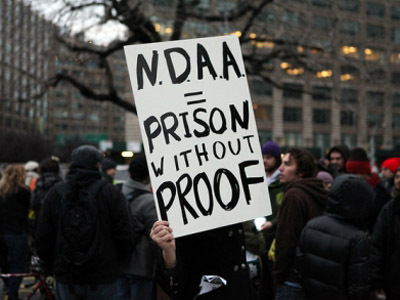 “[T]hat the military may have a role in America itself, that indefinite detention without charge or trial can be contemplated in the United States and that some immigrants can be easily carved out of the most basic due process protections,” are all possible consequences of enacting the proposed NDAA, Anders says. Speaking to Raw Story about what could come to the country under the Feinstein Amendment, Anders adds that “nobody really knows” since Congress’ interpretation of the bill could differ from that of the ACLU and other anti-NDAA advocates. Should Congress decide to decipher the language in one way, he says, grave implications could occur. “The Feinstein amendment may imply that the military has the right to act within the United States. There’s been a longstanding principle that the Constitution applies to all persons in the United States. We don’t divide up who gets rights by citizenship status. Nobody gets thrown under the bus in terms of due process in the United States,” he says. The ACLU, Amnesty International and the Center for Constitutional Rights are just a few of the 20 organizations who appealed the Feinstein Amendment’s supporters in the days before this week’s vote in hopes that lawmakers would reconsider. With the Senate unanimously approving the NDAA by a vote of 98-0, though, nothing short of a veto from the White House is likely to stop the defense spending bill from passing in its present form. That doesn’t mean that an executive veto is out of the question, though. Just last week, the White House said that they opposed the latest incarnation of the NDAA and would recommend an official veto to the president should the bill pass. It’s not the indefinite detention discussion that is spurring their argument, however, but one related to another heated issue brought up in the bill: Guantanamo Bay. 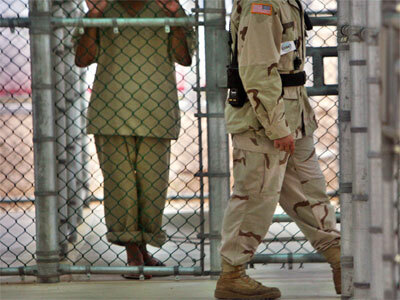 In the latest version of the NDAA, the US military prison in Guantanamo Bay, Cuba would be essentially forced to remain open throughout 2013, despite President Obama’s renewed pleas to shut down the controversial detention facility for good. Because the most recent draft of the bill includes a measure that will prevent Gitmo detainees from being relocated to other facilities, either in the US or abroad, the White House says Pres. Obama will be asked to reject it. The measure’s sponsor, Sen. Kelly Ayotte (R-New Hampshire), says that the White House’s efforts to try and distance itself from the ongoing Guantanamo debate by bringing the military prison to a close once and for all will not sit well with American’s eager to see suspected terrorists brought to justice. That claim was echoed in Senate when his measure passed by a vote of 54-to-41 on Thursday. “The administration may want to close Guantanamo, but the American people do not want foreign terrorists like Khalid Sheikh Mohammed brought to the United States,” Ayotte said. “Simply stated, the American people don’t want to close Guantanamo Bay, which is an isolated, military-controlled facility, to bring these crazy bastards that want to kill us all to the United States,” added Sen. Lindsay Graham (R-South Carolina). 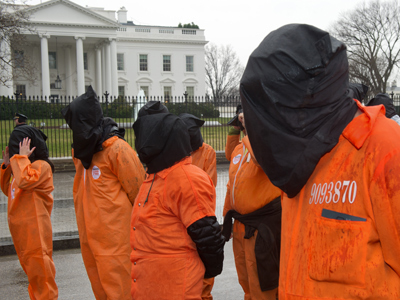 "Most Americans believe that the people at Guantanamo Bay are not some kind of burglar or bank robber," Graham said. "They are bent on our destruction. And I stand with the American people that we’re under siege, we’re under attack and we’re at war." The House of Representatives must now come to terms with the latest draft of the NDAA approved by the Senate. From there, it will be up to Pres. 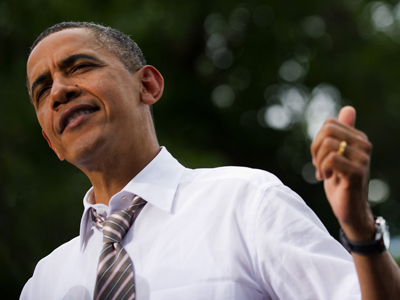 Obama to sign the legislation into law. The ACLU and other groups are recommending a veto on the basis that it will impede the president’s ability to finally close down Gitmo. 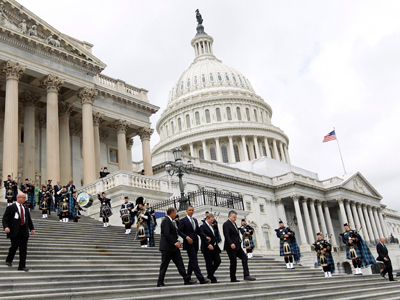 Presidents Carter, Reagan, Clinton and George W. Bush have each vetoed an NDAA during their time in the White House.